I've started a Facebook page, RegenoScot, to help people and projects for sustainable living to connect up, help each other, learn, and share information, ideas and experience, a bit like the brilliant Off Grid Friends page. I've had lots of great help from there and it's good just to know that you're not the only crazy fool out there going against the established flow. I wanted the RegenoScot header to reflect my own hopes for Scotland and all my family and friends up there. Dylan Thomas was once asked what he thought of Welsh Nationalism and he replied, "I've got three words to say about Welsh Nationalism and two of them are Welsh Nationalism", which is a bit how I feel about Scottish Nationalism... I hope we vote Yes to independence and I hope it's a new beginning for Scotland but I'd love it if people everywhere around the world looked for what they have in common rather than what makes them different. So there's no flag on the RegenoScot header. 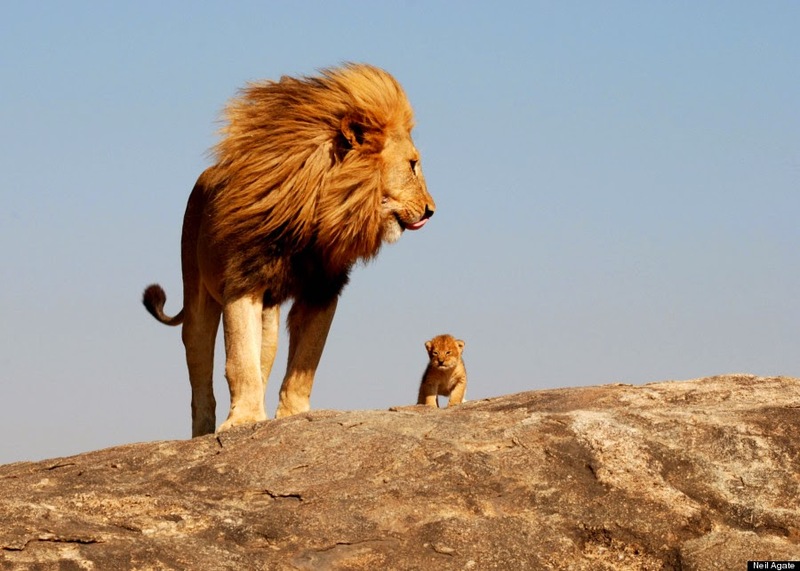 We do have a lion but it's a lion with a lion cub to symbolise strength with gentleness, learning and caring. I don't feel encouraged when the independence discussion revolves around oil production. It's reliance on fossil fuels that's brought the world to the brink of mass extinction. Let's make this an opportunity to build a new kind of economy based on the regeneration of real natural wealth rather than chasing illusory financial wealth at the expense of the environment. 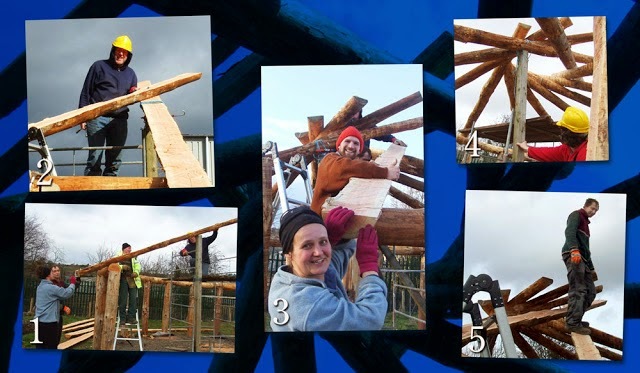 So there's a photo on the Regenoscot header of the reciprocating roof at the Cwm Harry community garden project, symbolising local initiative, cooperation, local food production, and the regeneration of natural resources. Let's keep our feet firmly on the ground and let's keep our heads firmly in the clouds, looking for local solutions to world problems, allowing a fresh flow of inspiration, new ideas, intuition as we look for local solutions to world problems.